A walk from Onibury Village Hall with Ludlow Walkers. A walk from The Village Hall, Onibury - Grid Ref: 455 792. Walk Leader: Susan McCormack - 01584 877315. If you require further details about the group contact Susan McCormack or Roy Griffin (01584 874011), for details of the walk contact the leader. 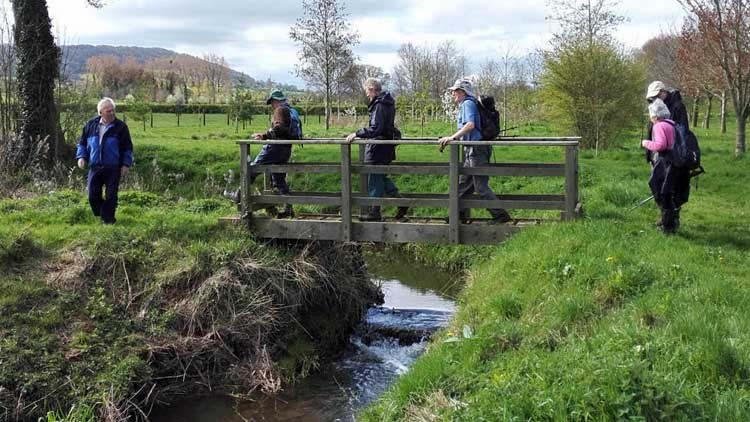 The walk, to which anyone is welcome, takes between 21/2 and 3 hours, ending with an optional pub lunch (Apple Tree Inn or Unicorn Inn, Ludlow, to be confirmed on day of walk). The walk is cross country, with stiles to climb, walking boots/shoes are needed.